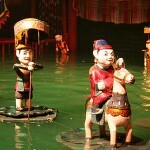 Tứ Phủ - The Four Palace show is one of the latest shows in Hanoi that can be added as an evening’s activities for visitors staying in Hanoi. 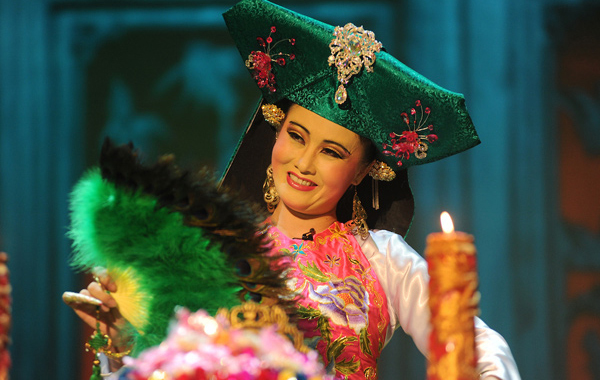 The show has been nurtured, idealized and arranged for 4 years before officially presented in late February 2016 in Cong Nhan Theatre which is three-minute walk to Hoan Kiem Lake. 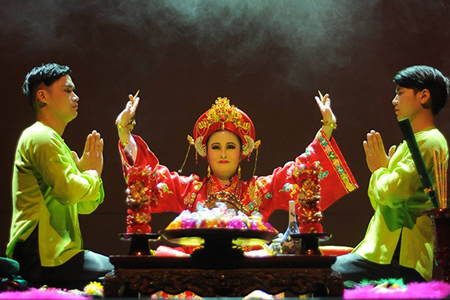 The show lasts for 45 minutes and completely is a beautiful journey into spiritual world of Đạo Mẫu (Mau religion). 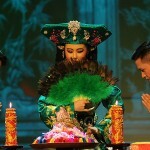 The show offers a great experience of unique ritual performance of Vietnam ‘lên đồng’ with outstanding visual, music, colorful customs and lively dance performance through Three chapters: Chầu Đệ Nhị, Ông Hoàng Mười and Cô Bé Thượng Ngàn. 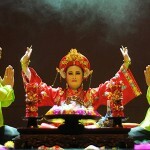 If you want to know more about Vietnam’s spiritual life and its rich culture, please do not miss the show. 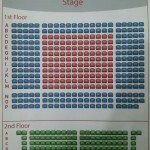 Contact us at our email address at [email protected] or our Hotline + 84 909 896 286. 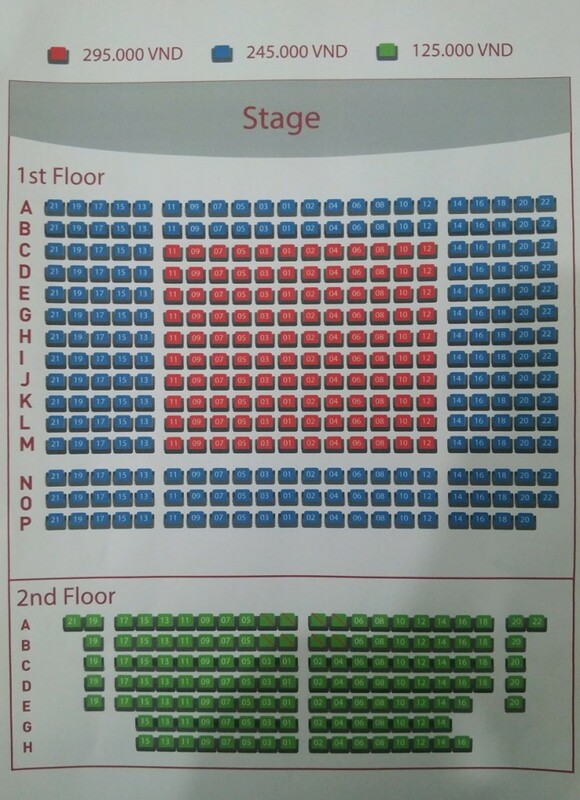 Please pick up Red ticket, Blue ticket or Green ticket then contact us at [email protected] or call us to 0909 896 286 – Ms Maya to book.